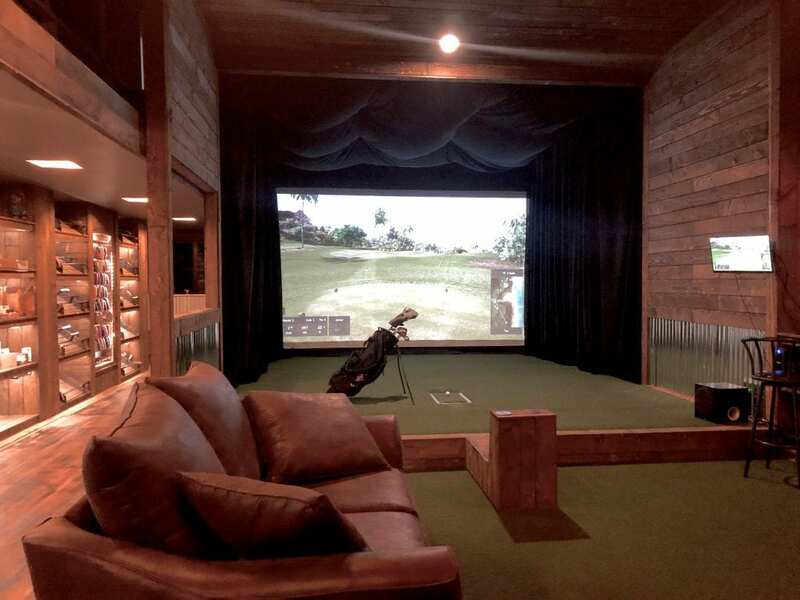 Experience ultra-realistic gameplay on our Trackman 4 simulator in a climate-controlled man cave, with no expense spared on the quality of the system and furnishings. The ball on the screen will do exactly what it would have done outside. Hit your driver, wedge, and even putter as you play over two dozen courses. Join the weekly cash prize tournaments, or just spend time with your friends playing exciting courses around the world. The cost for the simulator is on an hourly basis, not per person. Bring your foursome and split the cost among everyone for truly affordable entertainment. Host meetings, parties, fantasy football drafts, and more in this private, exclusive space. Comfortably fits a dozen people. Two skilled golfers can easily play 18 holes in an hour. Reserve a time slot below.